I totally don’t understand how come that today was the first day I made black bean brownies! And since I have fallen madly in love with them and since I WILL want to make these again I decided to write up the recipe (when it is still fresh in my head)! I took three different recipes, combined them (based on what ingredients I had at home) and added my own twist on them and the result is… I promise you WILL love them as much as I do! So… get ready. It’s easy and it’s OMG so good!!! And because I’m ME and everything with me needs to be easy and straightforward I use cups as a measure (as always). 1) Firstly you need to get your baking tin ready to make sure that your cake doesn’t get stuck. Put a little bit of coconut oil the inside of your tin, spread it all around and then put some shredded coconut inside. Tip the coconut around to make sure that it completely coats the oil, then tip the excess coconut in a bowl. 2) Now you need to blend all the ingredients (except chocolate and raspberries). I used a hand blender but mixer would have worked much better (ours is broken now). Blend till it is super smooth. 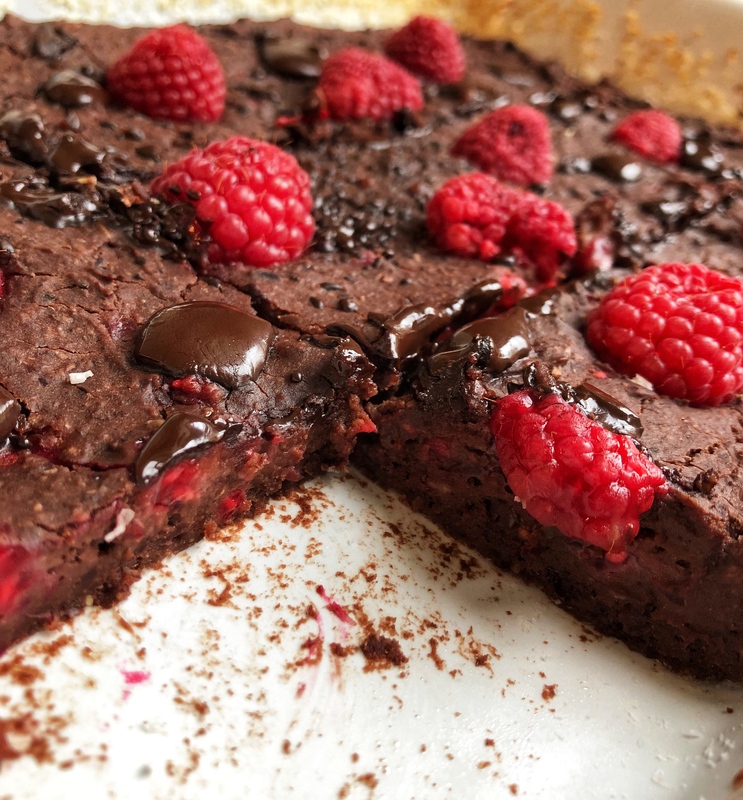 3) Chop the dark chocolate and add it to the mix together with raspberries. Leave some raspberries and a bit of chocolate for decorating the top. 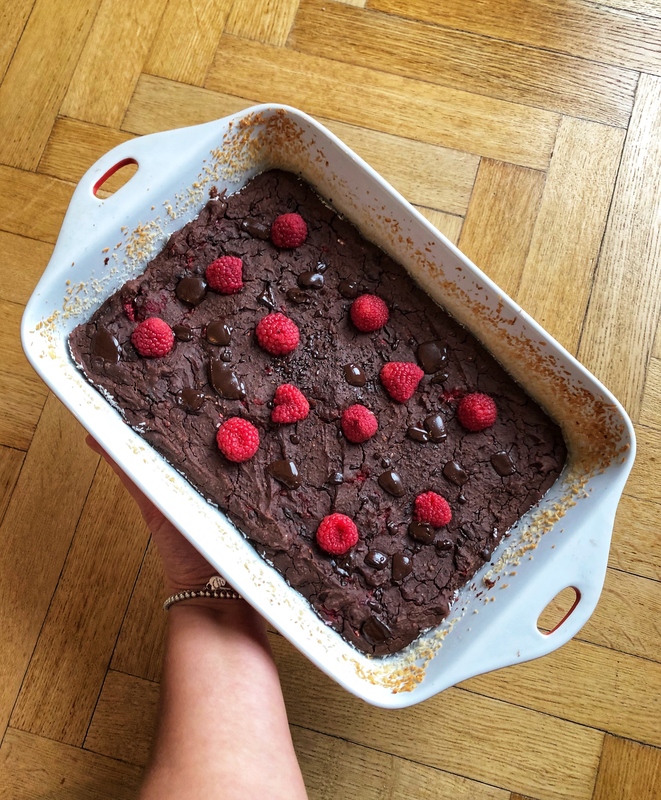 4) Pour in a baking tin and decorate with raspberries and a bit of chocolate on the top. 5) Baking time! Make sure your oven is preheated to 190C. The brownies will take 15 minutes to bake. Don’t forget that brownies need to be gooey so don’t overbake them. HAVE FUN MAKING IT! ENJOY EATING IT! Let me know if you liked it! !